Rugby’s Not On Unless a Few More Confirm! Right now we’ve got potentially 8 people showing up tomorrow. That’s too few to get a game on. We need at least two or three more people to confirm that they’re in for tomorrow. It’s going to be a perfect day, and we’ll finally be back at our field. Let’s put some numbers out there and get a good run going! Can’t make it this week unfortunately, hope you guys get numbers! I missed the glorious return of marcel? Awww man!!! I wanted to join in on the game this week but I’m not sure what time you guys play. 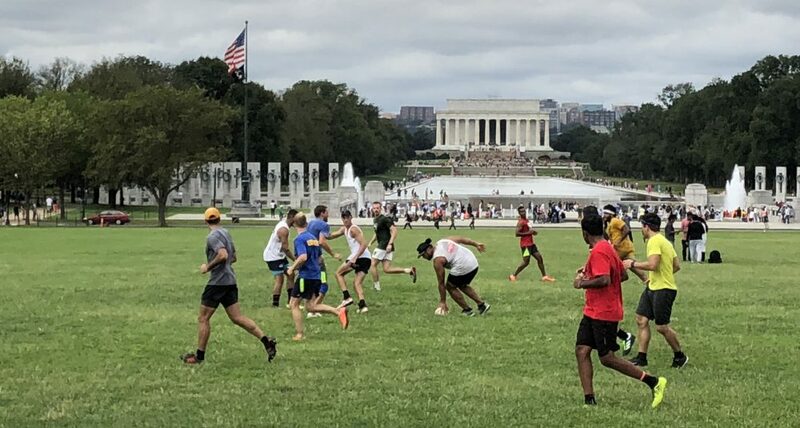 We play at 10 AM on Saturdays at the Mall near the Washington Monument. If you look at the game time and location menu you’ll be able to pinpoint exactly where we play. Hopefully we’ll see you out there.